Bhoomi Pooja is done to get blessing from Bhooma devi. This function is the one of the most important to be done before starting of any new construction works on the site. By doing this poojai we get the permission and seek forgiveness from bhooma devi for disturbing earth’s equilibrium while construction of new buildings. This pooja is done to get blessing from vaastu Purushan & Bhoomi devi, and mantras are chorusly chanted and the poojai is done in the north east corner of the site or plot or land where we going to start building work. 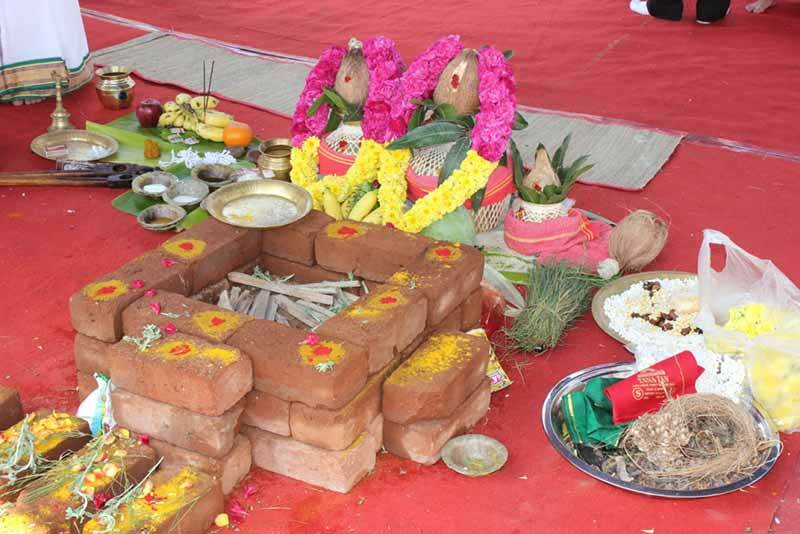 When To Perform Bhoomi Pooja? The Bhoomi Pooja date is fixed by using the Vaastu time which comes maximum twice in a month.